So, I finally decided to take the big leap and transition my hair from permed, to natural. I do have to admit it is a bit scary, but it is starting to grow on me. I have been contemplating this for a while, I was just too afraid of the unknown to do it. One day I sat down and decided to work on my finances and save money, to do more projects around the house, pay off some debts, and travel more with my husband. So, I asked myself what I could do to save money, and I realized how much money I was spending on getting my hair done every two weeks ($80 a month), a perm every 6 week ($75) and a sew-in every 3 months ($150), if I did not need to purchase hair). I realized I was spending a total of $750 every six months on my hair. I also scarified other things, but this was the most significant, because the way my hair looks and my appearance is important to me. I do not mean that in a negative way, I mean that I always like to look presentable and professional at all time (I realized I could do that natural). I am currently working on week 5 of transitioning and so far, I have learned a lot, mainly that it is not easy. The first time I washed my hair I was not sure if I wanted to cry or laugh, I learned to work in section on anything dealing with my hair. I also learned that I need to be patient and that every hair style is not going to work for my hair. And finally, I learned that I was going to have to find the product that works for me and not everyone else. Although this journey is just starting, I am beginning to learn to embrace my natural hair. My hair is not as bad as I thought it was. 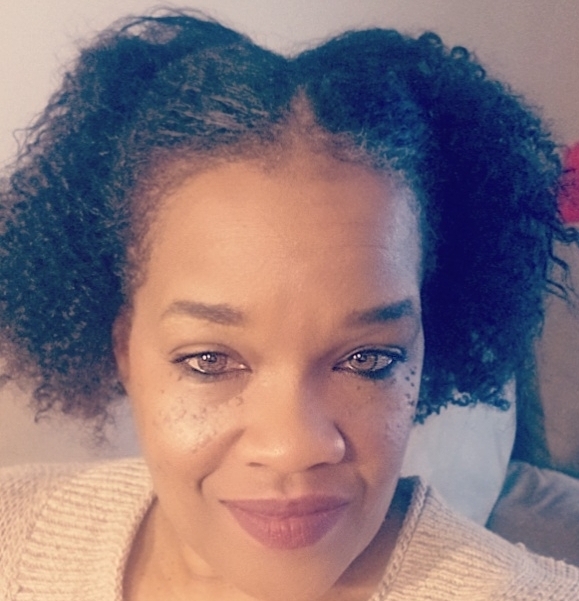 I have worn my hair in a bun for the first 4 weeks, alternating with wigs, I tried my first braid out for Christmas and it turned out better than I thought it would. My hair is soft and manageable, although I must keep it moisturized and oiled, because it is extremely dry.